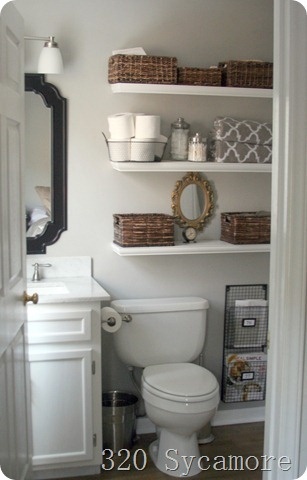 Now I am planning my Bathroom redo. This picture below is for my dream bathroom. 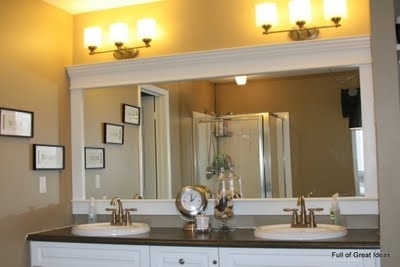 What I am really planning is to change up my bathroom and use some of the pictures below for ideas. They are mostly from my Pinterest Board. 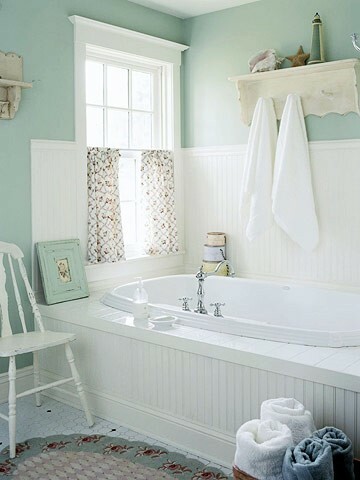 I have white tiles already and since I love the picture below, I will use the pretty aqua blue green color. I like the idea of shelfs for storage and the baskets are nice. 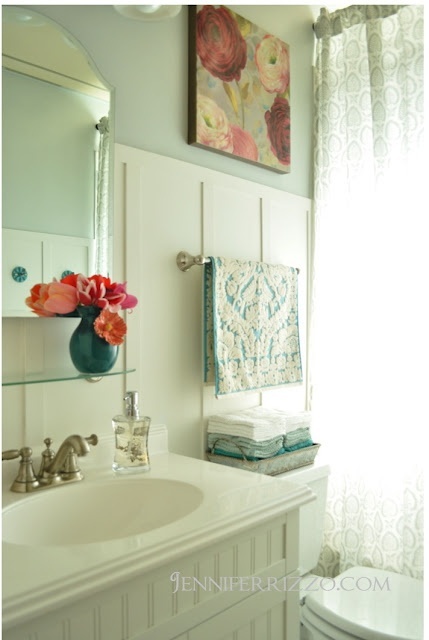 The Bathroom remodel from Jennifer Rizzo is soooo beautiful. I like the idea of the pretty hand towel and using wash clothes for guests to dry their hands. Plus the colors and everything else in her bathroom are so nice! I also want to frame the big mirror in my bathroon like the one below. The reveal will be coming soon.